Tent on Wheels: Redefining the Term "Portable Structure"
A Northwestern tool engineering company in the United States contacted us with a need for a seriously cool fabric structure--a temporary storage building that could roll across a manufacturing site in Gainesville, Texas. 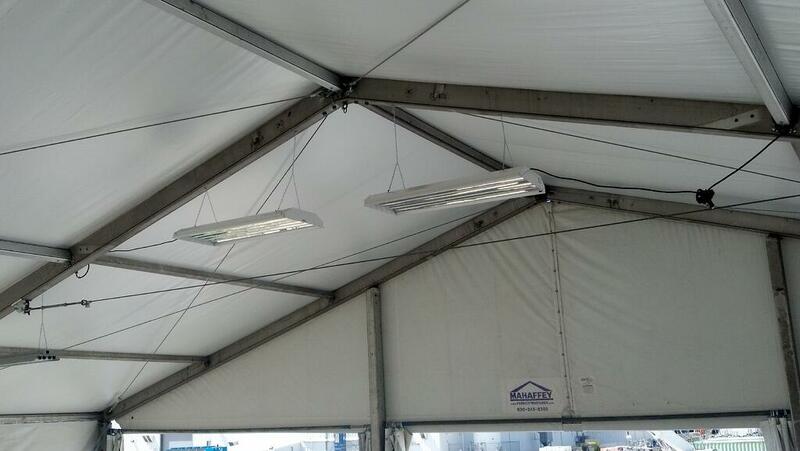 This large storage tent needed to both shelter workers from the elements and house a prototype testing facility. The customer asked Mahaffey to provide a structure that would be guaranteed to stand up to consistent wind speeds long term. 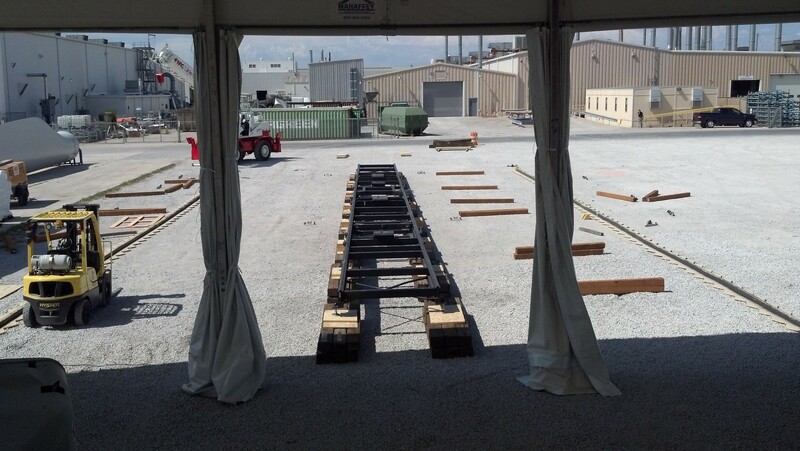 Mahaffey met the customer’s needs by providing them with a customized 50' by 50' structure, complete with wheels. The company was prototyping a type of wind turbine blade. Because this company does research for wind turbine development, it was crucial that the temporary structure be placed at a site that has consistently high wind speeds. The structure needed large enough to house the required material the company was testing. 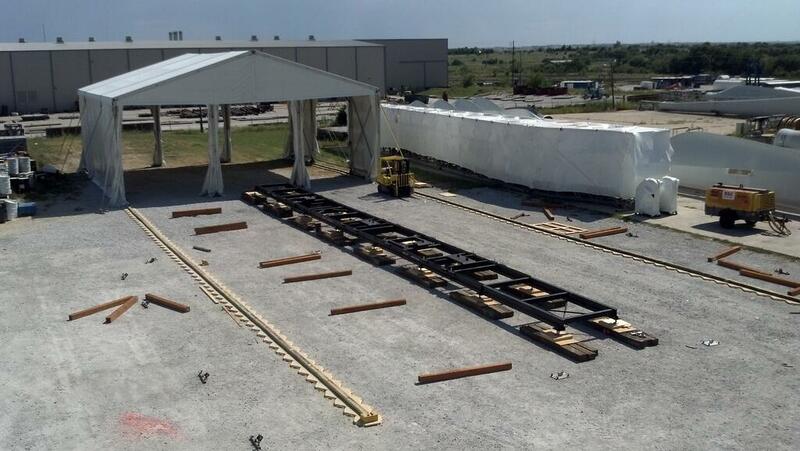 The structure needed to be able to travel a distance of around 120 feet. The challenge: The customer asked for a structure on wheels. But, if not anchored into the ground, the tent could become like a giant kite. The structure had to be designed with the mobility to roll as well as the ability to attach to the ground. The structure is complete with pneumatic tires. The customer was pleased with the finished product – a truly, literally portable structure. Check out another portable structure in action in this video. Are you in need of a moveable structure or customized solution? If so, click the button below to get started.